Trenton Doyle Hancock was born in Oklahoma and is currently living and working in Houston. As the stepson of a Texas preacher, Hancock’s work is largely autobiographical and based on a highly developed personal mythology. In this work, he includes a narrative that references a battle between good and evil. 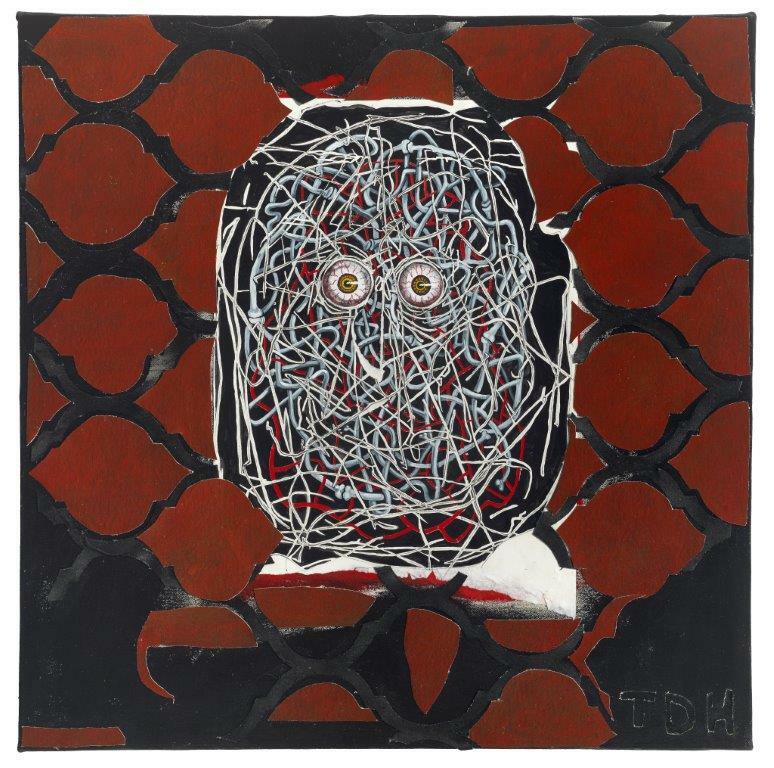 Hancock’s paintings are characterized by cartoon-inspired faces and forms, which have elicited comparisons to the work of Philip Guston. In this work, Hancock portrays his version of the devil as a tangled mass of bones and lines with floating eyes. Hancock participated in the 2000 and 2002 Whitney Biennials, and his work is included in the permanent collections at the Dallas Museum of Art; High Museum of Art, Atlanta; Museum of Modern Art, New York; and the San Francisco Museum of Modern Art.